The North Carolina Department of Public Instruction recently rolled out new Digital Learning Competencies for N.C. students, teachers and administrators. These standards provide teachers with a framework to improve their practice and drive student learning in the context of instructional technology. I was selected to be a Digital Learning Competencies Ambassador and instantly knew that I wanted to share my maker education story with other educators in my state. The session I prepared focused on the growth mindset elements of the Digital Learning Competencies. The standards ask teachers to “Promote open, lifelong learning as an iterative process of success, failure, grit, and perseverance.” Other competencies ask teachers to promote active engagement with technology and allow students to pursue their own interests and preferences. An Arduino project we did with students last school year had met all of these goals in a powerful way, and I wanted to share this with others. 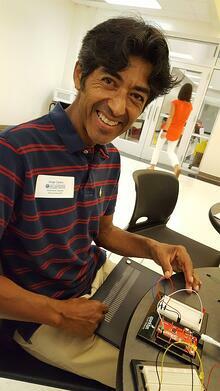 Last school year, I received an Allen Distinguished Educator grant for an Arduino-based project: Light Up Music Box. This project was designed by Allen Distinguished Educators Tracey Winey and Dawn DuPriest. I had been searching for a way to incorporate Arduino into my middle school media center, and this project provided the perfect solution with easy-to-follow directions. I was able to purchase a SparkFun Inventor’s Kit and enough additional RedBoards and supplies for an enrichment class to complete the Light Up Music Box, and the results were amazing. Heading into the project, my students had worked with drag-and-drop code during Hour of Code. A couple of them had used Scratch. None had ever written their own code, and the concept of blending hardware and coding in our budding makerspace was exciting but intimidating. The first day we had a few kids who had never used a screwdriver melt down and actually cry as they mounted the RedBoards to the project board. We persevered and completed the project with great results. All of my students were able to create their own music and light show. Our songs ranged from "Jingle Bells" to "Fur Elise" to "Bad Romance." The students were amazingly engaged and excited for each class period. My principal came in and was so excited about the work he saw that he said we should have a class like this every day. I already believed in the power of the maker movement, but this experience really drove home the ways in which educators can harness this power for student growth. We were able to apply what we learned with the music box when we participated in a Google-sponsored robotics contest. We programmed an Arduino Leonardo-controlled robot, and the kids used a RedBoard to play "The Itsy Bitsy Spider" as the robot moved across a cardboard stage. 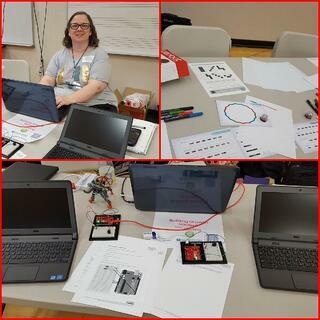 Our Arduino projects met all of the goals of the new N.C. Digital Learning Competencies, and I felt that sharing about the SparkFun Inventor’s Kit (SIK) would be especially effective in persuading other teachers to undertake a similar project because it is the perfect starter kit. It comes with all of the components needed to complete so many projects, and the guide is so comprehensive and well-written. 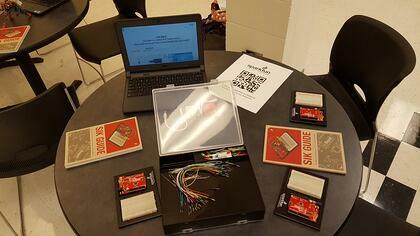 I relied on my SIK guide, even though I had good directions from another source when working with my students. From July 31 to August 3, I traveled to four different schools throughout Western North Carolina with my fellow Digital Learning Competencies Ambassadors to provide energetic days of learning for several hundred educators. We kicked each day off with Ignite Talks about topics like virtual reality, gaming and blended learning. My talk was titled “Building Growth Mindset With Coding” (see the slide deck and additional resources). 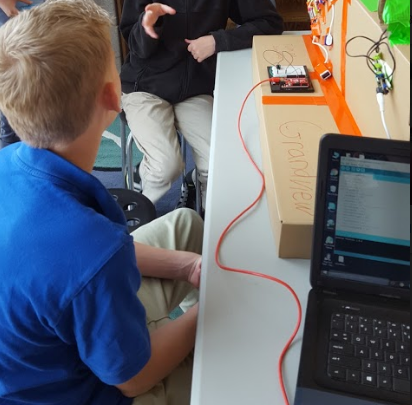 Throughout the day educators could attend many awesome concurrent sessions and visit our "coding playground" to explore the technology focused on during the Ignite Talks. SparkFun supported the coding playground session with the donation of five SIKs through their Community Partnership Program. Teachers who visited the playground were able to wire up circuits and write short programs. We focused mainly on a couple of simple projects: LED Blink and Piezo buzzer. It is amazing to see a fellow teacher’s face light up like a child’s when her LED blinks! Teachers were so excited about the Inventor’s Kits and came up with many ways to incorporate projects into science, math, music and technology classes. I even received a few hugs (big smiles, looks of wonder and hugs are not always part of professional development). 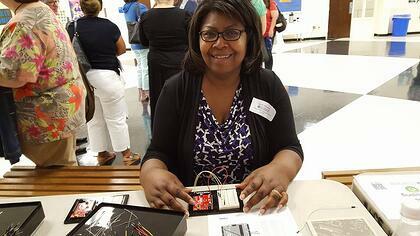 Hands-on time with the SIKs was an invigorating and inspirational way to promote the power of making and to share with other educators about the ways they can incorporate circuitry, coding and creativity into all subject areas. 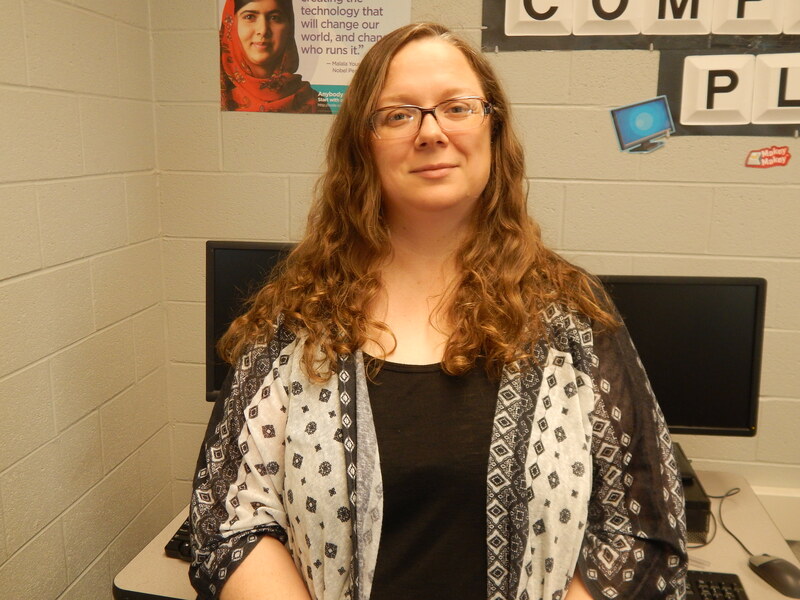 Vanessa Lail is a school library media and technology coordinator at Grandview Middle School in Hickory, North Carolina (Hickory Public Schools). She taught English Language Arts and Science for 15 years, and this is her fourth year as a media coordinator. Vanessa is on a mission to turn her school library into a learning commons, including a makerspace and computer science playground. Her interests include reading, gardening and all sorts of high- and low-tech making from home canning to Arduino.